So you're ready to graduate from Jäger shots and PBR tallboys to wine, but your wine education begins and ends with having once half-watched Sideways. It’s cool, we’ve got you -- the truth is, one of the best ways to learn about wine is to taste as many as you can (we know, it’s awfully hard homework). 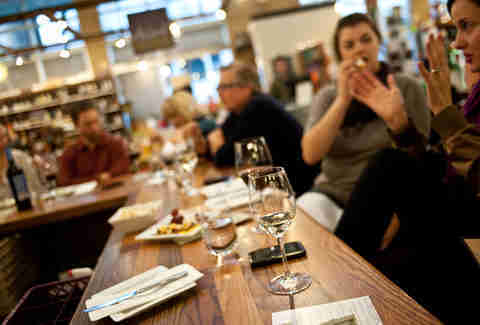 So go out, young grasshopper, and cultivate your palate at the best wine bars Milwaukee has to offer. Vino 100 is more of a wine store with a bar inside, but that's OK, since it's always better to try before you buy. They even sell the stemware you're drinking out of, just in case you want to precisely recreate your night out at home. There are always events going on here, and the patio is the place to be in summer. If you want to be the most amazing host in America, you can rent a private wine storage locker in the cellar, where you can keep some bottles handy for guests to sample -- or for your own after-hours consumption. 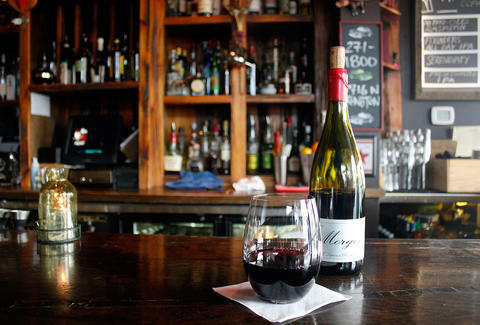 Ruby Tap is the choose-your-own-adventure of wine bars. 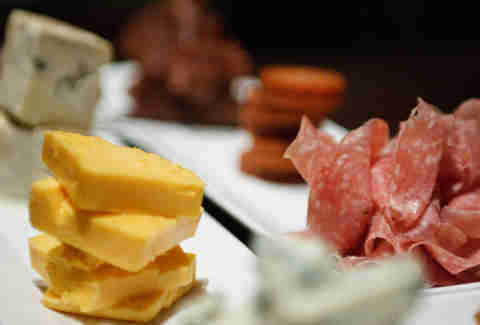 You’re encouraged to create your own cheese and charcuterie platters for DIY pairings, and most of the wines are available from a self-serve machine along one wall. Pick your wine, pick your pour, and then go back for more without having to get a bartender's attention. It's the alcoholic version of a froyo shop, only, you know, boozy and chic. 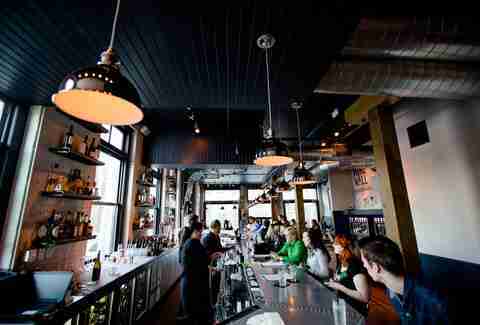 You can take a break from the chaos that is the Milwaukee Public Market with a glass of wine at Thief. Wines are available by the taste, glass, and bottle in a range of prices, and for the indecisive, there are wine flights -- nab a cava from Spain, a chablis from France, and a Chianti from Italy, and you’ll have basically taken a tour of the Continent for under $15. Balzac has been around since before wine bars were trendy thanks to its massive, well-curated wine list and a food menu filled with small plates and apps. You can get anything from halibut with kale to the ever-popular mac-and-cheese (which will totally pair with your chardonnay). Plus, if your date turns out to be a dud, the walls are lined with a mishmash of interesting items. 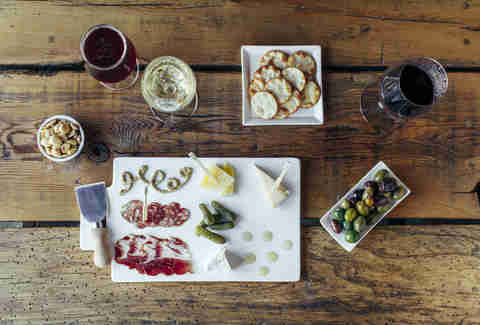 This no-frills spot speaks directly to lovers of wine, cheese, and/or chocolate lover. They have over 300 bottles available (that’s more than you need, really), served in a warm, industrial setting surrounded by cream city brick. 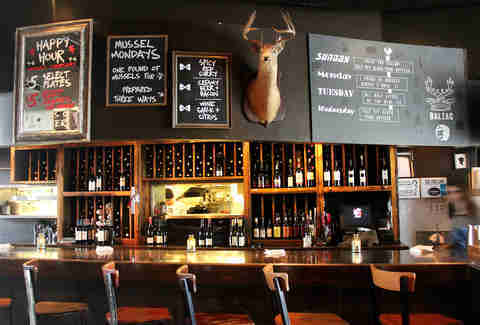 The staff is super knowledgable about vino, so this is a great beginner wine bar. There's also a super rare, extra fancy Italian meat slicer in the kitchen -- so you should probably order some prosciutto. The Black Sheep has changed formats a few times since opening, but they are now firmly cemented as a wine bar, and currently peddle 16 wines on tap -- plus some wine cocktails. They focus on small-production wines, so the selection changes frequently. Plus, they’re a full-service restaurant, so you can get everything from burgers to brunch along with your Pinot. 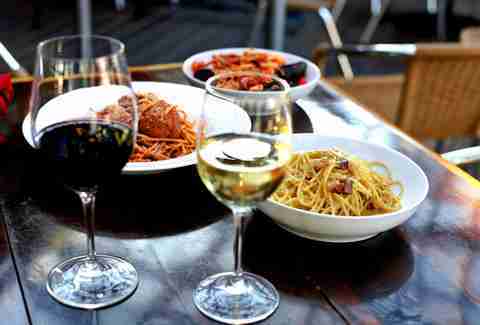 Though Pizza Man is, first and foremost, a beloved Italian restaurant, its wine list is truly expansive and one of the best in Milwaukee. All of these glasses (and bottles, and more glasses and bottles) make up a book that’s a dozen pages long, broken down into some categories you've probably never even heard of -- Arneis or Valdigiuie, anyone? Luckily, they also offer thorough descriptions, just in case you're a little lost on what will pair best with your artichoke a la mode pizza (yes, that’s a thing). It's not unusual for a French restaurant to have a great wine list, but it is unusual that they also run a wine shop above the bistro. 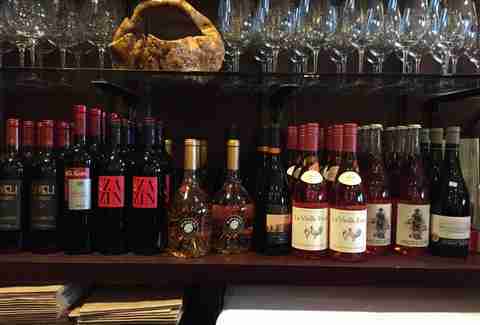 You can browse the selection while you wait for your table, then stop up after your meal and grab a bottle to take home. You might expect the wine list to be made up exclusively of French varieties, but it's an eclectic mix of vintages from around the globe. Lacey Muszynski is a Milwaukee writer who cooks with wine all the time. Follow her on Twitter @worthhersalt.